Walk with Me: I Will Sing to You My Song Just $3 Down From $22! You are here: Home / Great Deals / Amazon Deals / Walk with Me: I Will Sing to You My Song Just $3 Down From $22! Here’s a great Amazon deal. 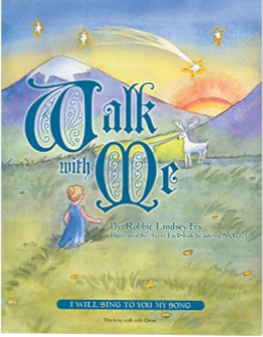 Walk with Me: I Will Sing to You My Song is just $3 down from $22! Get yours now while it lasts! When a young girl is called to walk with God she happily accepts. He teaches her of his love, joy, and peace. She walks with God and he walks with her. Until one day, she chooses to follow a rebellious spirit whom lures her away from God with what the world has to offer. After following him into the merciless world he guides her into sin and ultimately deceives her. In the end she turns from the ways of the world and back to the Lord. The Lord welcomes her back and the girl learns that true unconditional love and acceptance comes from God alone.